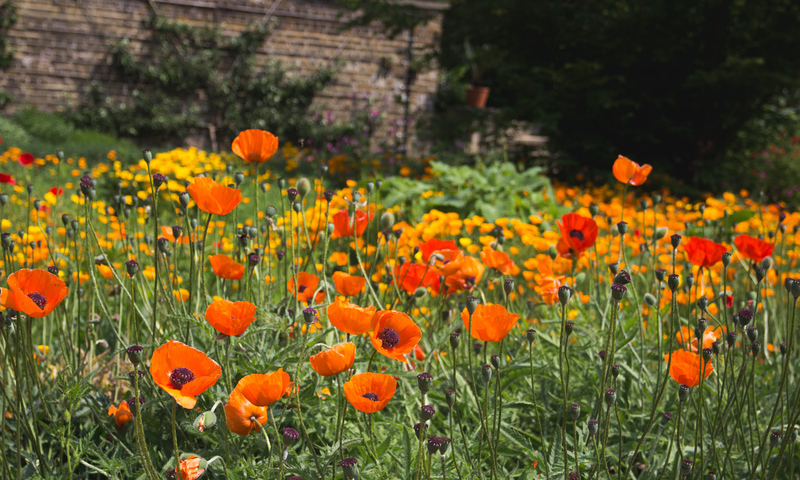 Ed’s Garden Maintenance Operator Den Hukins who covers Middlesex gave a local garden a makeover last week and sent in these photographs. 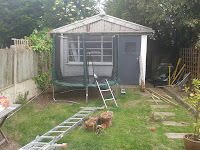 Den added a new fence, returfed the lawn and put in a path. The family were really happy with the result. 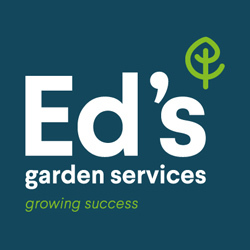 Please contact Ed’s for a free estimate if you need a garden revamp. 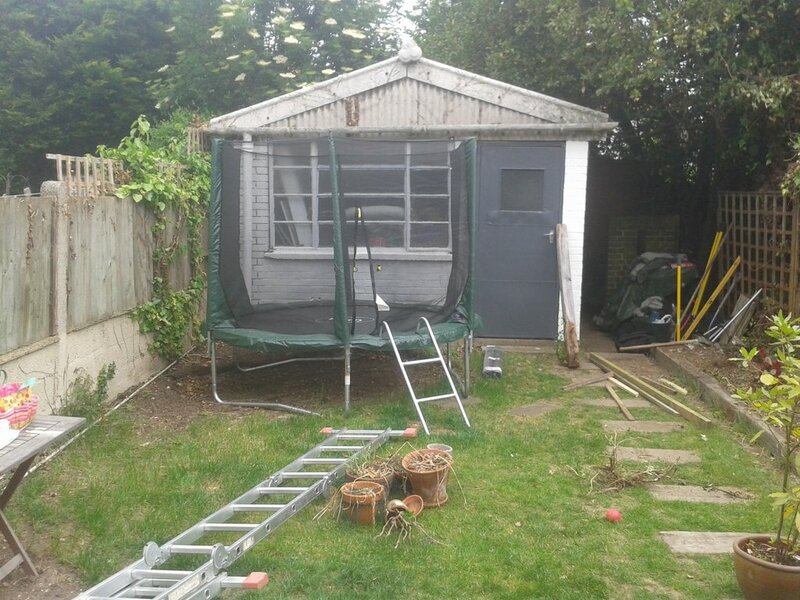 Ed’s Garden Maintenance Operator Den Hukins who covers the Middlesex area cleared a garden over two days for a customer last week. 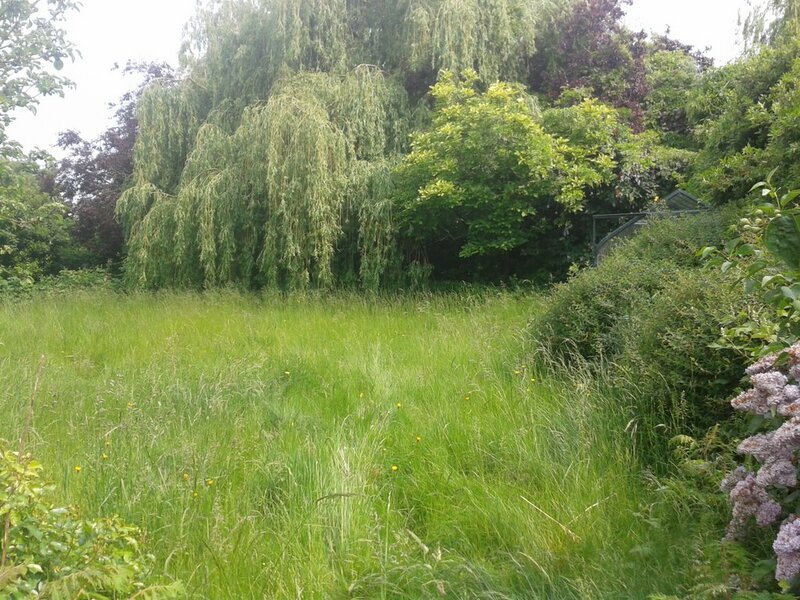 Please contact Ed’s Garden Maintenance if you need any garden clearance work carried out either via phone or filling in the Free Estimate Box. 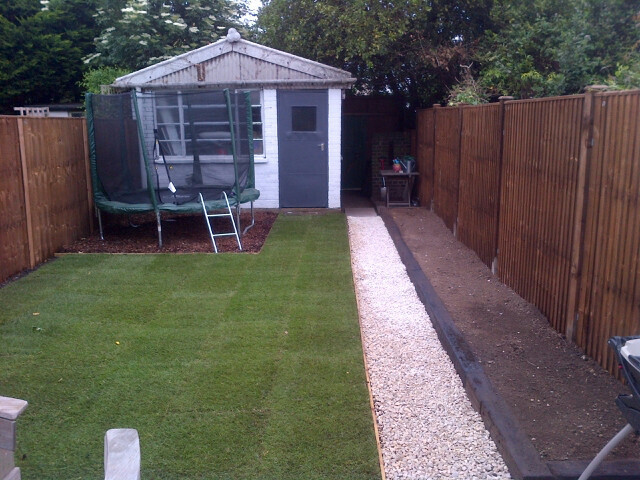 Ed’s Garden Maintenance Operator Steve Frise who covers Esher to Weybridge has been busy this week turfing for a local family and sent in these photographs. 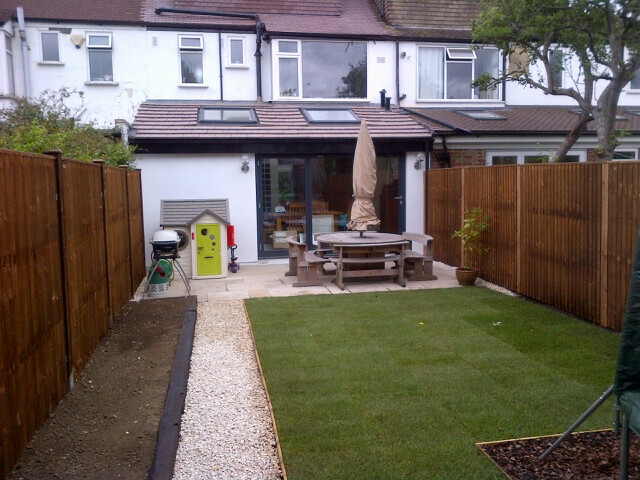 The customer was thrilled with the end result. 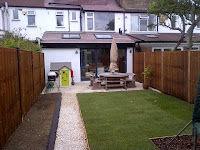 Please call or fill in the Free Estimate box if you are interested in having a turfing makeover ready for all the summer barbecues! 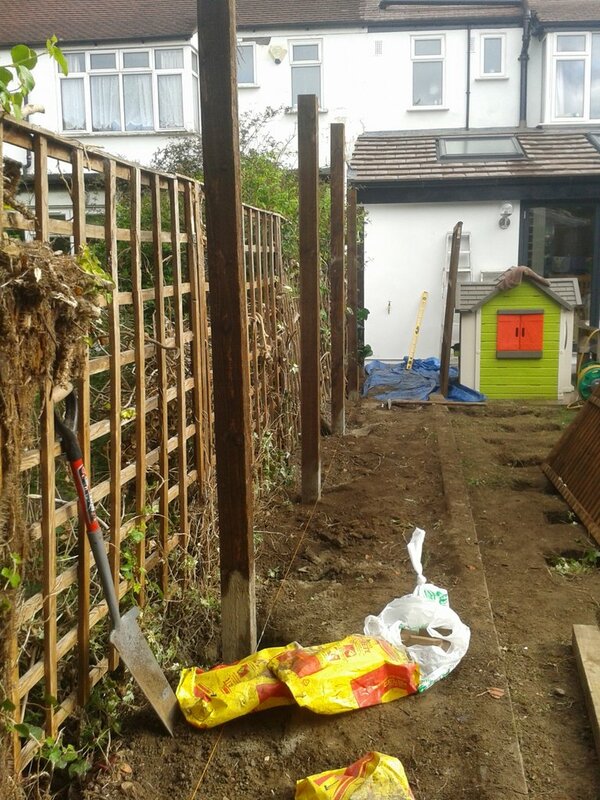 Ed’s Garden Maintenance Operator Steve Frise has recently been turfing for a customer in SW London. The garden was totally overgrown and Steve began by clearing the area and removing a dead tree. 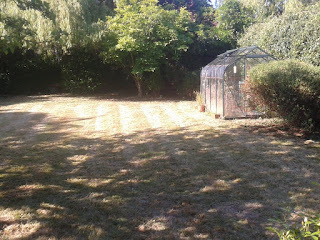 The area was then rotovated and turfed. 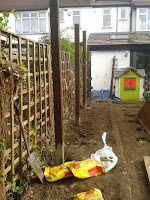 A new fence was put up at the end of the garden. 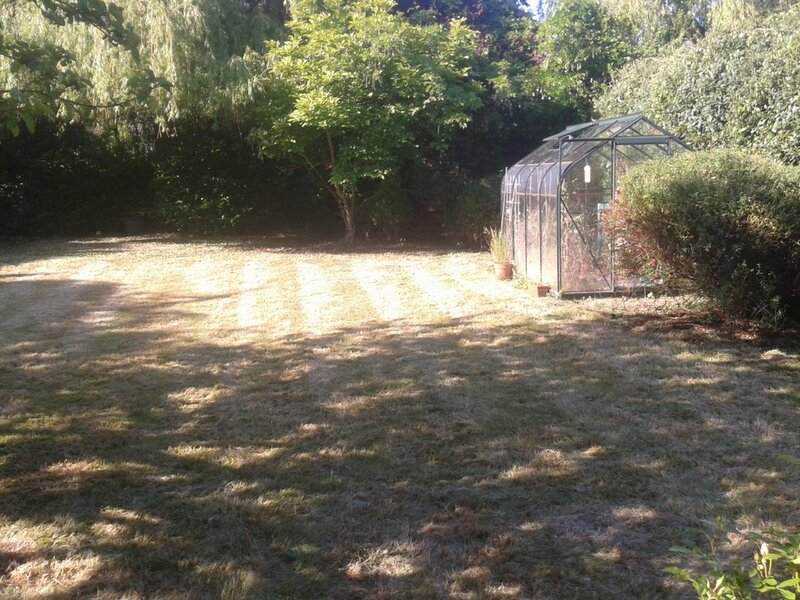 As part of Steve’s customer service he has offered to do the first cut free of charge in four weeks time to ensure the first cut is done correctly. If you are interested in having your lawn turfed please contact us for a free estimate.